Visitors at one time could hike up the 8,039-foot Sunset Crater cinder cone but the foot traffic caused too much erosion and the practice was halted. Sunset Crater Volcano and the adjacent Wupatki national monuments are often overlooked by tourists eager to get to Grand Canyon National Park. But visitors would be wise to take a little extra time to include these parks in their itinerary. Instead of driving on U.S. 180 or State Route 64 to the South Rim of the Grand Canyon, take U.S. 89 out of Flagstaff a dozen miles north to Sunset Crater and then on to Wupatki. This scenic detour adds about an hour of extra driving time but the rewards are many. That includes a scenic first look at the South Rim at Desert Watchtower from the park's eastern entrance. Sunset Crater erupted around 1,200 A.D. and is the most recent event in the 3,000-square-mile San Francisco Volcanic Field. Hike in a lava field, get close to the cinder cone of 8,039-foot Sunset Crater and learn about the area's geology at the Visitor Center. 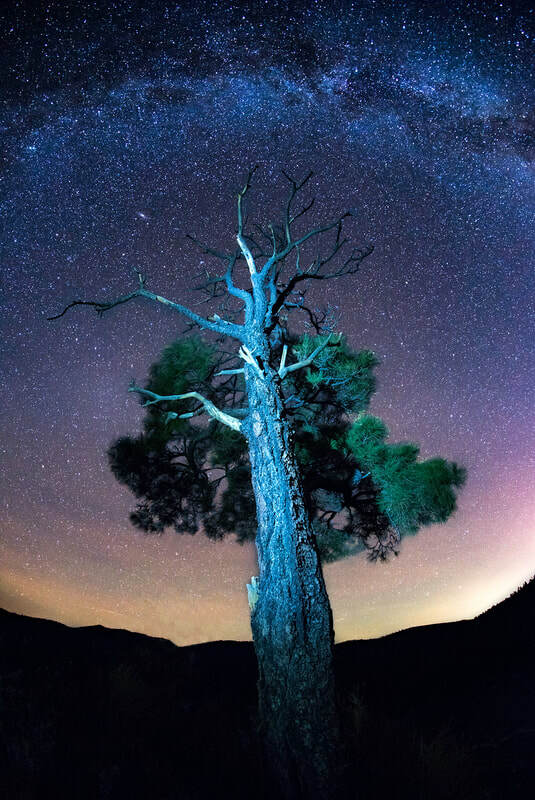 Bonito Campground has sites shaded by tall Ponderosa pines. It's open from May to October. Vehicles are limited to 40 feet or less and there are no trailer hookups or showers. ​The 35-mile (56-kilometer) scenic loop road offers views of the majestic San Francisco Peaks, mesas of the Wupatki Basin and Painted Desert. It's generally lightly traveled and carries far less traffic than U.S. 89. It descends about 2,000 feet from Sunset Crater to Wupatki. Admission is $20 per vehicle, allowing entry to both Sunset Crater and Wupatki national monuments. 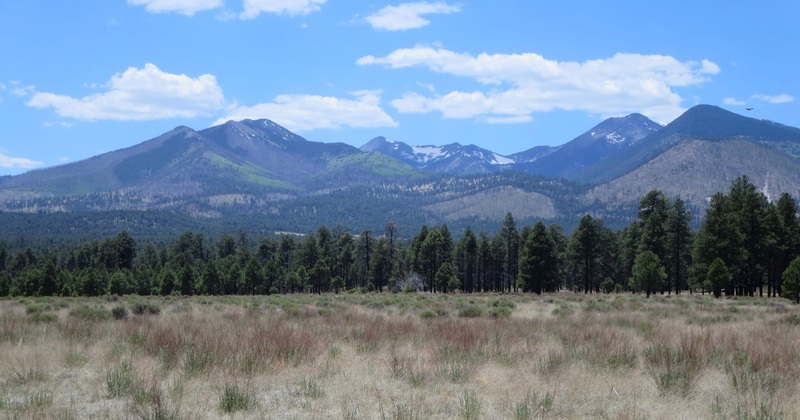 Bonito Park offers wide-open views of the Inner Basin of the 12,600-foot San Francisco Peaks. Cyclists, including these two on a tandem bike, ride the lightly traveled scenic loop road that descends 2,000 feet from Sunset Crater to Wupatki. 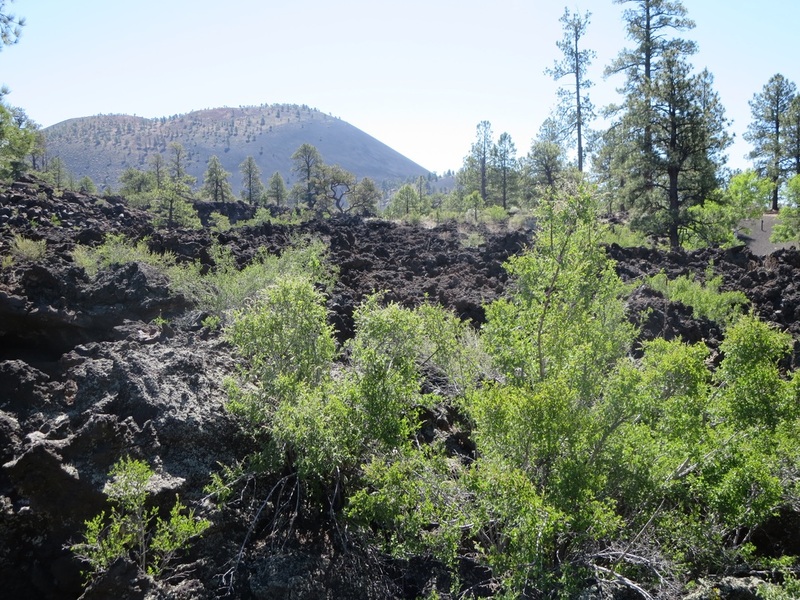 Right: Vegetation has grown in the crevices of a lava field over the past 800 years since Sunset Crater erupted.